I forgot that it takes five hours to propagate a new web domain, so here I am! Back to the good old blog… And my good old readers! Did I mention that I graduated from CCS with my MFA, already? (holding for applause… waiting for it… eh, forget it) Somehow my life is still getting away from me and I’m struggling to keep up with it. Chris was smart enough to video the graduation ceremony, so if you missed it, here it is. It is totally worth the 40 min! The diploma is so cool, guys. I wish you all could have one. But you’d have to go through this program and stuff, so yeah… But you can still look at it! Pretty… (drawn by Eleanor Davis, photo on the CCS Flickr). I went to MeCAF the week after graduation, and it was a really great experience. I loved talking to everyone who came by and I even sold a bunch of copies of my story about chimps getting murdered to little kids! And a cool guy named Randy Michaels picked up a copy as well and mentioned me in his blog recently! Also, I’ve been turning video of my CCS basketball team into adorable sports-action animated gifs. I’m actually kinda too busy to be doing this, so it’ll take me a while to get one done for everybody. But, to whet your appetite for sports, here’s superstar Keny! Alright, enough fun and games. 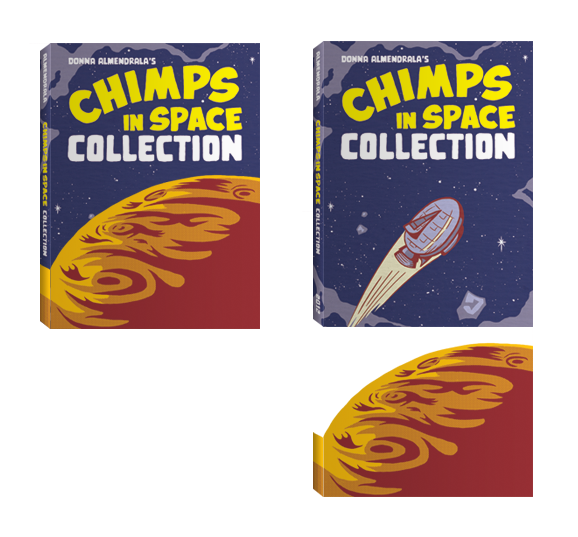 I redesigned the store adding ALL THREE VOLUMES of Chimps in Space. Read at your own risk! Also I redesigned the overall gallery. What! No way! Oh yeah, check it out. I have so many supportive voices in my head, you guys. I forgot that I love blogging… Thanks for loving me back! This entry was posted in Animation, CCS, Thesis. Bookmark the permalink.